Lakeland Felony Crime Defense Attorney - Lawyer, Providing Professional Felony Criminal Defense Attorney legal services for Lakeland, Winter Haven, Bartow, Polk County, and the surrounding Central Florida area. Call 863.660.2185 to Speak with Lakeland Felony Criminal Defense Attorney / Lawyer, Joshua E. Schoen. Any felony criminal charge is a serious matter in which knowing your legal rights, legal options, and potential defense strategies may be paramount for your freedom, your future, and life's goals. 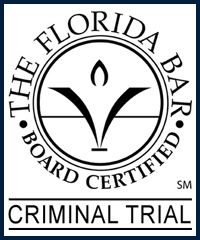 Based upon special circumstances, other evidence relating to the crime, and an individuals prior criminal record, conviction penalties may be adjusted according to the sentencing guidelines of the Florida Statutes. Such as Life Imprisonment WITH the Possibility of Parole vs. Life Imprisonment WITHOUT the Possibility of Parole. Both verdicts may be handed down for the same 1st degree felony crime if the statues allow it. Protect your rights by seeking the legal advice and representation of an experienced Lakeland Felony Criminal Defense Attorney / Lawyer. Contact Lakeland Felony Criminal Defense Attorney / Lawyer Joshua E. Schoen at 863.660.2185 in the Lakeland, Winter Haven, Bartow, Polk County, and the surrounding Central Florida area.